You can afford a place at the beach! This cute 2 bedroom 1 bath unit is close to everything! Walk to restaurants, shopping, The Shrimp Fest, or the Hangout to hear music. You are right there! 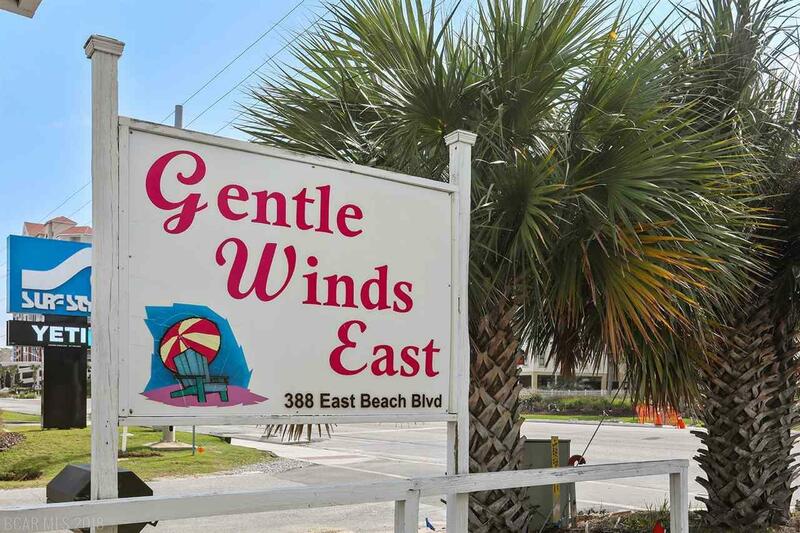 The condo has deeded access to the beach and is conveniently located at a traffic light for easy access onto Beach Blvd. The building has just been painted for a clean, bright look. Unit comes with 2 assigned parking spaces. Laundry facilities on site. Owners can have pets! Great income potential. Ready for your special touches! !